When I first hauled this product on my blog I gave a mini review of my first time using it. However, now I have been testing it out for more than a few months now, I am able to give a full review including before and after photos. Maybelline have designed this semi-permanent tint meaning you no longer have to visit a salon to get your brows tinted as you can now do it at home, by yourself, with no mess and no fuss involved. 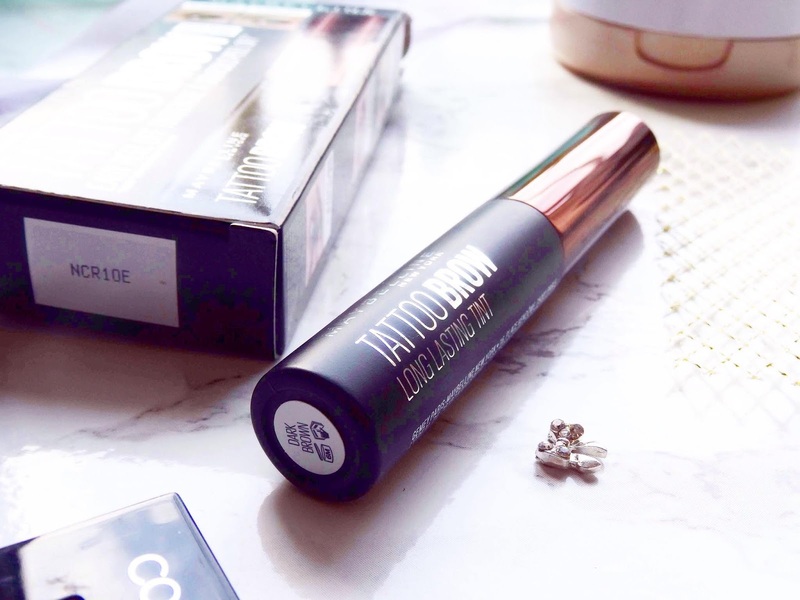 The tint can be easily peeled off the brows leaving you with three days worth of wear in three simple steps, helping you achieve natural yet fuller looking brows. 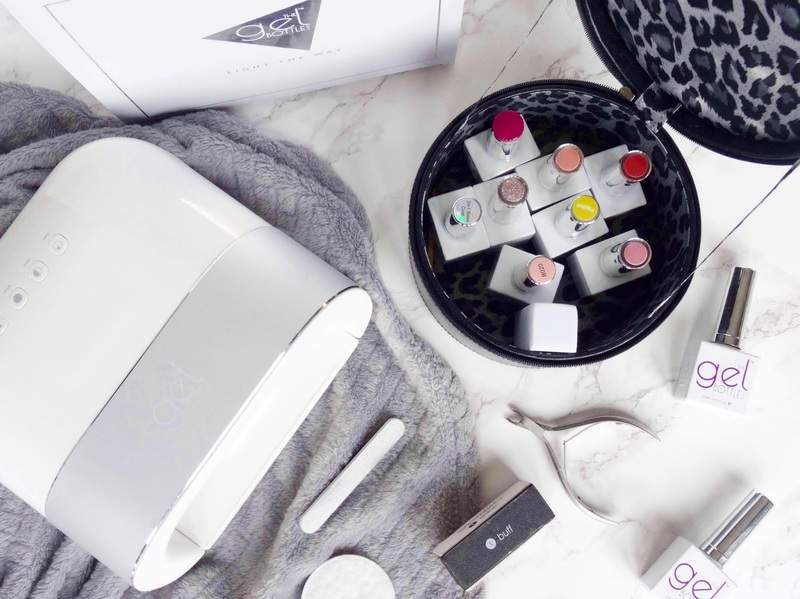 The tinting process is fairly easy, you can't really go wrong with it as it has quite a thick consistency that you essentially paint onto your brows. You leave the tint on for two hours, which considering it only stays around for three-five days, is a fairly long amount of time for to be developing for. Once you go to peel it off I find it easiest if you start from the inner of your brow and not the tail. I've used this multiple of times and near enough each time it has come off in two or three pieces which isn't too messy at all. As you can see from the images before, once you take the tint off you will need to brush through your brows with a spoolie to make sure any of the remains get removed otherwise you will have little specks like I did. It is quite a unique product that retails for £14.99. If you don't want to get your brows done at £20 a go then this is a great alternative as you can do it in your own time, and you can tint them to your liking. The only downside is that it doesn't last as long as when you go to a salon to get them done. This tint will only last a few days which isn't ideal whereas it would last up to 4-6 weeks if you got them done professionally. 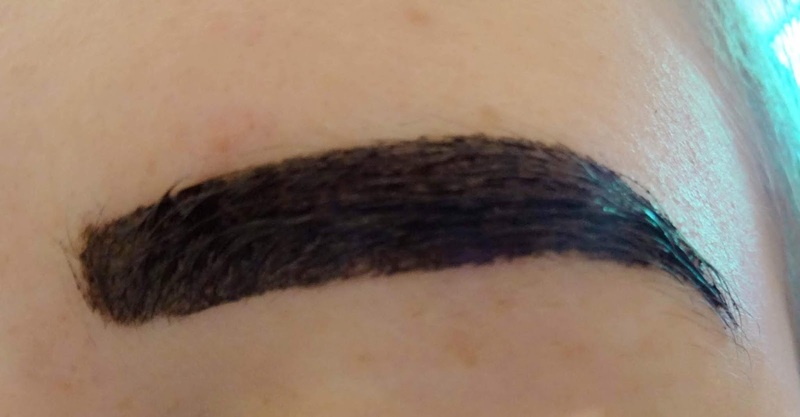 What is your take on this brow tattoo product? Is it more gimmicky or something that'll be used forever upon end? Thanks for reading.